AURORA, Ill. (WLS) -- Four people were injured, two critically, after a six-vehicle crash in Aurora Monday morning, police said. The crash occurred on Butterfield Road and DuPage Parkway at about 6:43 a.m., police said. As of 12:45 p.m., Butterfield remained closed between Eola and Farnsworth roads as authorities investigate the crash. 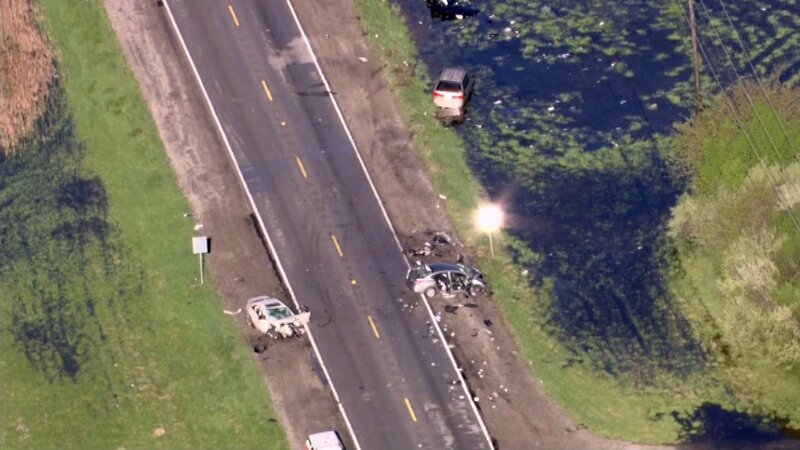 Police said a 2014 Chevy Malibu being driven by a 22-year-old man traveling east was attempting to pass several vehicles and in an attempt to avoid a head-on collision, a 2015 Chevy Malibu driven by a 60-year-old man traveling west swerved and the two Malibus sideswiped each other. The 2014 Malibu then collided head-on with a 2014 Nissan Sentra, driven by a a 37-year-old woman, that was traveling west. Three other vehicles, a westbound 2008 Mazda driven by a 38-year-old man; a westbound 2000 Honda Odyssey driven by a 33-year-old a woman; and an eastbound 2002 Dodge Caravan driven by a 32-year-old man, could not stop in time and collided with the 2014 Malibu and the Sentra. 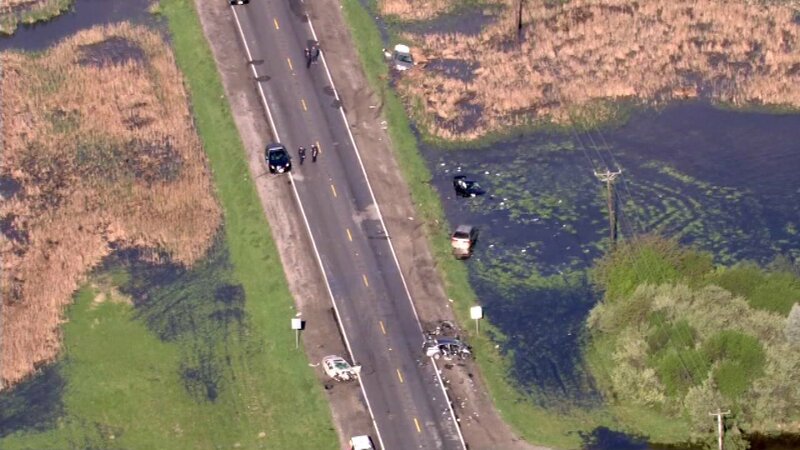 The drivers of the 2014 Malibu and the Sentra were both critically injured. The Sentra driver was airlifted from the scene to a suburban hospital. 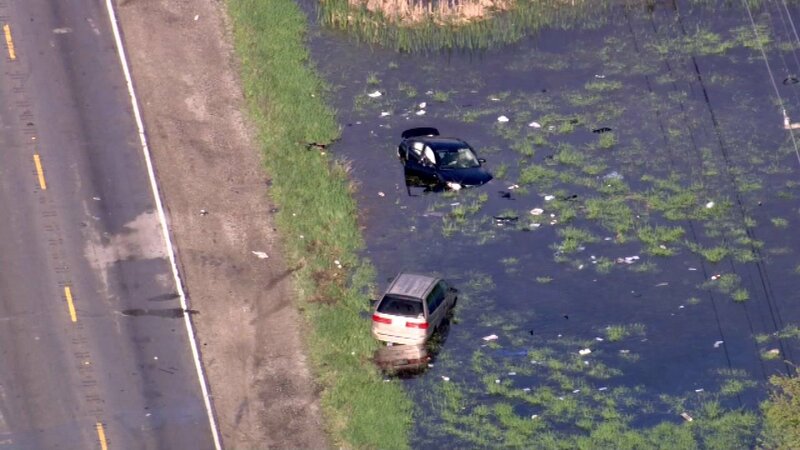 The driver of the 2014 Malibu was treated at a hospital in Aurora. The drivers of the Mazda and the Odyssey were both treated and released from a hospital. 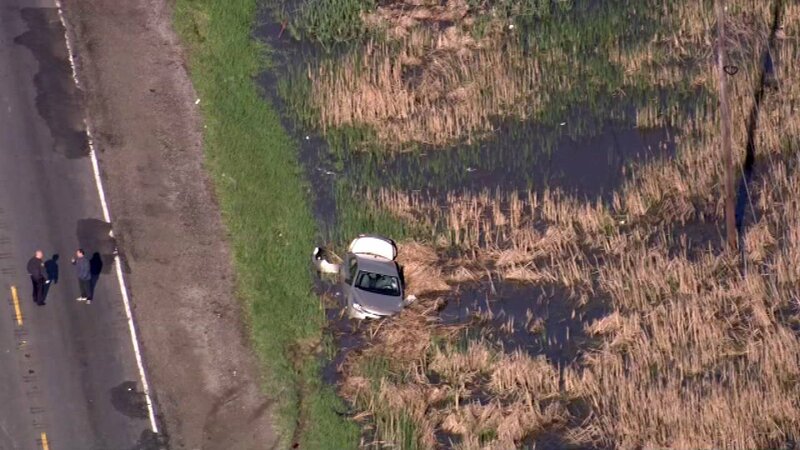 Chopper 7HD flew over the scene Monday morning and showed several vehicles end up in water along the roadway.